Overview | Roustabouts RV Club Inc. Complete the registration forms on the bottom of the various pages. Our Club focus is on ‘long weekend’ musters every 5-7 weeks, with lunches and/or family day outings in-between musters. Our long weekend ‘core days’ are Friday to Sunday but you are able to include additional days. 'Core Days' are days when Club activities are organised for members to attend if they desire to. Musters are not held during Queensland School Holidays, however CCQ does hold its annual muster during school holidays to allow families within CCQ affiliated clubs to have a holiday. Our Club members are welcome to attend these occasions. The Club runs a coffee morning on a set day each month on a rotational basis. The three locations are at Chermside, Mount Gravatt and Harbourtown (Gold Coast). These locations are along the main highway to allow easy access for all members. You do not need to be a member to join in on these days. informal events. There is no compulsion to attend these mornings events. The Club organisers dining events every two months or so at clubs located on the north and south side of Brisbane and centrally. These normally commence around 5:30pm for social drinks followed by dinner around 6:30pm. Everyone is invited to attend these events and there is no compulsion to join in. The Club organises day events for our membership. These events are outside our normal muster activity and are an opportunity for members to attend if they so wish. Boat cruises, historical walks and some of these events. Our musters, tagalongs and day events are open to club members, their family and friends as well as members of other caravan clubs. Prospective members are also welcome to attend and see how our Club operates. The Club newsletter publicises upcoming events and the website has flyer and update information on the 'Musters & Events' drop down. 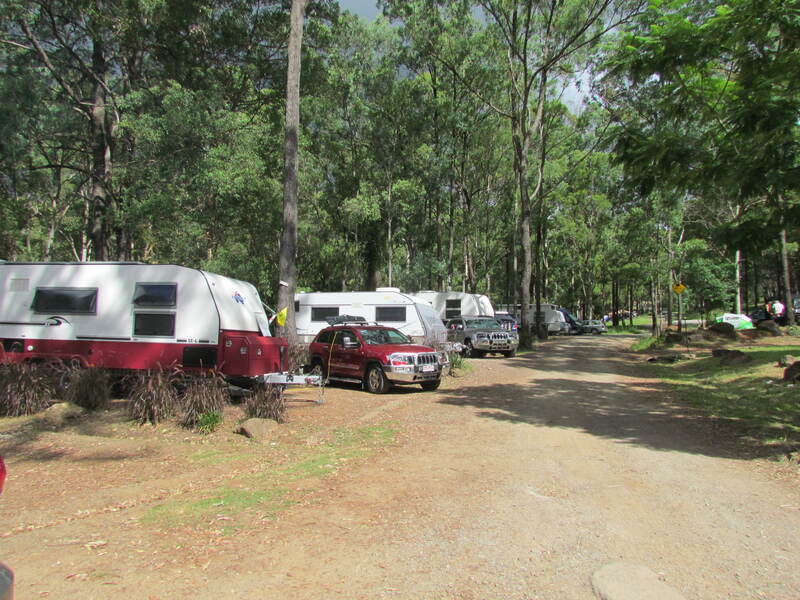 You do not need to contact caravan park or event organisers to book in as this is done on your behalf by the Club office. Members need to check the "Attendance Status Report" located at "Members Only" to confirm their attendance has been recorded.